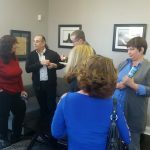 A group of close to 60, including Mayor John Moor and Councilwomen Yvonne Clayton and Eileen Chapman, turned out Thursday evening to celebrate the grand opening of Re-Max Asbury Park, located at 501 Grand Ave. 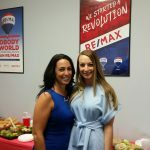 Behind the national brand are a mother and daughter team from Ocean Township who have two other branches under their belt, located in Ocean Grove and Ocean Township. 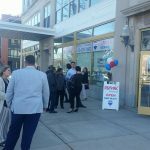 “It was all her idea to open a branch in Asbury Park,” said 20 year industry professional Gloria Siciliano of her daughter Alexis. 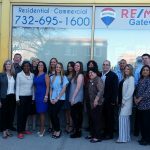 The Siciliano duo employe 30 agents overall; nine at the Asbury Park location. “I honestly never had the thought that I would go into real estate,” Alexis Siciliano said. “But after coming back from college it was just something I got into; and I’ve never looked back. 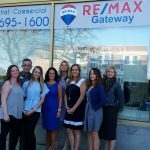 RE/Max Asbury Park is open 10 a.m. to 4 p.m. Monday through Friday. 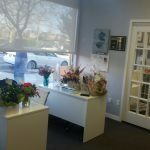 For more information, call 732-695-1600, visit their website.